Turning a page on a year includes multiple lists looking back at the best of. One interesting list I saw was the 4 Greatest Psychological Discoveries of 2014. While this is one person’s list, I was most fascinated by the commonality of all 4 topics. They all speak to the need to be more conscious of who we are and what we are doing at any given moment. As people continue to focus on resolutions for change, perhaps there is something to how we cultivate the focus needed to strive to fulfill our goals. There is a simple way to fight your own negativity and anxiety: Negative, obsessive thinking is a common part of many emotional and psychological problems. A new study byNota & Coles, 2014 offers an option to try if you would like to reduce your own negative thinking patterns. These researchers found a clear connection between going to bed late at night, inadequate sleep, and excessive negative thinking/worrying. More studies are planned, but in the meantime, it makes sense to try this relatively easy fix. People who treat themselves with compassion feel better about themselves and their bodies: A 2014 study byKelly et al., 2014 found that women who treat themselves with more kindness and compassion are better able to cope with disappointments and setbacks in life. They were also less reactive to other people’s judgments or criticisms of their body shape and size. To learn more about how to build mindfulness, emotional awareness and self-compassion, see the book Running on Empty, or visitEmotionalNeglect.com. Jonice Webb has a PhD in clinical psychology, and is author of the book Running on Empty: Overcome Your Childhood Emotional Neglect. Webb has been licensed to practice since 1991. She has been interviewed on NPR and over thirty radio shows across the United States and Canada about the topic of her book, and has been quoted as a psychologist expert in the Chicago Tribune. Prior to joining PsychCentral, she was the Mental Health Editor for BellaOnline, the second largest women’s website in the world. She currently has a private psychotherapy practice in Lexington, MA, where she specializes in the treatment of couples and families. Webb currently resides in the Boston area with her husband and two children. To read more about Dr. Webb, her book and Childhood Emotional Neglect, you can visit her website, Emotionalneglect.com; or view her short videos on YouTube. We all find ourselves with to-do lists that we never complete. And the lack of completion often creates extra stress in already stressful situations. There are many ideas regarding better scheduling methods and better means of prioritizing tasks. 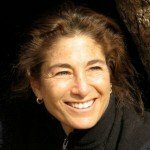 I came across this short piece which offers a mindfulness approach to removing stress from the hectic nature of struggling to complete what we must. If you can define the schedule of your workday or week even a little, yet constantly feel constrained by time, try a new path. Get mindful as to what rigid routine or schedule pattern is causing you stress. Even if you can’t figure it out, try injecting some change-up. Here are two such approaches. Some people get into the office and absolutely won’t feel organized till they listen to voicemail and scan emails. These folks know they can’t operate on all cylinders until they see and organize what has just come over the horizon. Others, though, get to these two activities only because they’d feel ashamed if anyone knew they had yet to know about a memo or call. They grit their teeth, tighten up their back and sit for the first hour or two doing this task they abhor. As odd as it may feel, it would help those in the second group to get past any self-induced shame and dive into what they normally only allow themselves to get to once “catch-up” is over. A changeup like this can make all the difference in the world in mindset, productivity and connectedness to your work life. Recognize which of the two groups you fit in and try the strategy. Even if you are of the first mindset, try the approach on for size if you can mentally swing it. You may learn more. If you have to accomplish something by company- or self-imposed deadline, decidedly put it on your “side-desk,” so to speak (physically or figuratively). When you are restless with another task at hand and need to move toward something else to feel productive (or stay awake), it can be easily grabbed and worked on. As a writer, I always have several pieces regularly due. Rather than start and finish any in one fell swoop (which I can do with little stress), I recently stumbled upon getting a start on four works hovering soon-to-be-due. Seeing them started, drafted out (or even just thought about with a couple notations taken down) really made me feel a sense of progress. It was nothing to pull them in and work on them; I became more motivated to see their direction take shape. The strategy was effective for me, and I likely should incorporate it more. If you struggle with attending to tasks on dates you schedule them to be done, try the approach. Incrementally chipping away at work load, with low pressure, could indeed get you ahead of the game (in yours and your bosses’ eyes). This strategy, too, might not be for everybody. It is worth the try, though, to see if you can make yourself work differently and whether it has an effect on your productivity. No one knows that better than you; you may surprise yourself. Think on both examples. The key is to find a way to think about flow and ease of work schedule, rather than rigid patterns possibly not serving you well. The potential reward is more balance and satisfaction. The driving factors are doing what motivates you instead of making you feel stuck. Stop agonizing over your work schedule. Try to arrange it to pull you forward with energy, rather than keeping you stagnant and stressed. Our minds need to be nourished as well as our bodies. How are we monitoring what is coming into our minds? That is the question posed in this piece. It is interesting for it raises a question for those who adhere to religious or spiritual practices. If we read the wrong books, are we causing a purity of practice and complexity to overtake the value of simplicity? And it led me to wondering… What are you feeding your mind? Or mindlessly stuffing some junk in for a quick bit of rush? In his book, “Savor: Mindful Eating, Mindful Life,” world renown Buddhist monk Thich Nhat Hanh writes about mindful consumption. Not just of food. But of everything you ingest: television, conversations, images, thoughts. So, if you were to look at the typical “diet” you feed your mind, what might you find? Are you letting a lot of toxic worry find its way in? Does stress try to sprinkle a salty layer onto everything you “eat”? Are there times you get a double-dose of self-doubt? And what might some healthier, more life-affirming “foods” be for your particular mind? What sort of thoughts could help you feel soothed or relaxed or worthy or restored? Sometimes it’s worth just practicing how to notice what your current habits are – what are you actually feeding your mind? And then, when you’re ready, noticing what other options there might be available in this banquet we call “life”… Noticing what other dishes you might like to try. The following provides an interesting look at how grief can continue to exist within us for years if we don’t confront and recognize it. We often misplace our grief behind other emotions in an attempt to avoid confronting our pain. Here is a class from a psychologist with an influence from Buddhist thought. The Buddha taught that we spend most of our life like children in a burning house, so entranced by our games that we don’t notice the flames, the crumbling walls, the collapsing foundation, the smoke all around us. The games are our false refuges, our unconscious attempts to trick and control life, to sidestep its inevitable pain. Yet, this life is not only burning and falling apart; sorrow and joy are woven inextricably together. When we distract ourselves from the reality of loss, we also distract ourselves from the beauty, creativity, and mystery of this ever-changing world. One of my clients, Justin, distracted himself from the loss of his wife, Donna, by armoring himself with anger. He’d met her in college, and married her right after graduation. Donna went on to law school and to teaching law; Justin taught history and coached basketball at a small urban college. With their teaching, passion for tennis, and shared dedication to advocating for disadvantaged youth, their life together was full and satisfying. On the day that Justin received the unexpected news of his promotion to full professor, Donna was away at a conference, and caught an early flight back to celebrate with him. On her way home from the airport, a large truck overturned and crushed her car, killing her instantly. True Refuge, published Jan 2013. Available at Amazon.com and Amazon.co.uk. During our first call, Justin told me that his initial response to Donna’s death was rage at an unjust God. “It doesn’t matter that I always tried to do my best, be a good person, a good Christian. God turned his back on me,” he told me. Yet his initial anger at God had morphed into a more general rage at injustice and a desire to confront those in power. He’d always been involved with social causes, but now he became a lightning rod for conflict, aggressively leading the fight for diversity on campus, and publicly attacking the school administration for its lack of commitment to the surrounding community. The pain of loss often inspires activism. Mothers have lobbied tirelessly for laws preventing drunk driving; others struggle for legislation to reduce gun violence; gay rights activists devote themselves to halting hate crimes. Such dedication to change can be a vital and empowering part of healing. But Justin’s unprocessed anger had aborted the process of mourning. His anger might have given him some feeling of meaning or purpose, but instead he remained a victim, at war with God and life, unable to truly heal. Loss exposes our essential powerlessness, and often we will do whatever’s possible to subdue the primal fear that comes with feeling out of control. Much of our daily activity is a vigilant effort to stay on top of things—to feel prepared and avoid trouble. When this fails, our next line of defense is to whip ourselves into shape: Maybe if we can change, we think, we can protect ourselves from more suffering. Sadly, going to war with ourselves only compounds our pain. A few days later, he told me, “Something cracked open, Tara. Being worried about my mom is all mixed up with Donna dying. It’s like Donna just died yesterday, and I’m all broken up. Something in me is dying all over again . . .” Justin had to wait a few moments before continuing. “I wasn’t done grieving. I never let myself feel how part of me died with her.” He could barely get out the words before he began weeping deeply. Whenever we find ourselves lacking control of a situation, there’s an opening to just be with what is. Now that Justin had once again found himself in a situation he couldn’t control, he was willing this time to be with the loss he’d never fully grieved. Instead of rushing into a new cause, he spent the next couple of months focused on caring for his mom. He also spent hours alone shooting hoops, or hitting tennis balls against a wall. Sometimes he’d walk into his empty house and feel like he had just lost Donna all over again. It was that raw. Tara Brach is a leading western teacher of Buddhist meditation, emotional healing and spiritual awakening. She has practiced and taught meditation for over 35 years. Tara is the senior teacher and founder of the Insight Meditation Community of Washington. 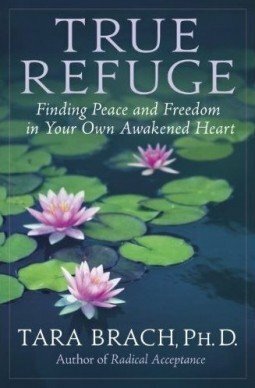 A clinical psychologist, Tara is the author of Radical Acceptance: Embracing Your Life With the Heart of a Buddha and the upcoming book, True Refuge: Finding Peace & Freedom in Your Own Awakened Heart (Bantam, February 2013). You can subscribe to Tara’s blog here. For more information, visit www.tarabrach.com or to join our community, go to facebook.com/tarabrach. Read more articles by Tara Brach. Here is an article looking at some thoughts on how we can me more mindful and aware in the use of technology. I recently led a workshop focused on helping us develop a wiser relationship to our technology (Smartphones, IPads, computers, television, etc.). In the beginning of the workshop I explained how as much as we feel that technology is a part of our lives, historically, we’re really just becoming acquainted with it. We talked about how in many ways, the people who came to the group were like “Digital Warriors,” at the frontier of optimizing this new wiser relationship to technology. Here are a five benefits we found and one thing that surprised me most about what would come in life we practiced more digital awareness. Have More Balance – All participants felt that they didn’t have a balanced relationship with technology. Every single person interacted with their email or messages as one of the first things they did when they woke up and many felt that this primed the mind toward wanting to check for messages more during the day. Master Your Cues – We discussed the importance of being aware of cues that instantly trigger the brain toward making the decision to engage. A cue can be a person, place, thing, time of day, emotion, sound, thought, etc… Many people said a cue was being alone or waiting. Others said, it was feeling stressed or in times when there was a transition from one event to another. It could also be the sound or blinking light that triggered a need to check. Awareness of cues is essential if we want to get back in the driver’s seat and sit in a space of choice, that Now Effect moment. Open Up Possibility – If people were more aware of these “choice points” they said that they would rather rest, take a walk, be more intentional about connecting with people or go out in nature more. They might take a break checking Facebook for 20 minutes, instead of realizing there is a choice to do something more restorative. Get in touch with that choice point would be adaptive. This is not to throw the baby out with the bathwater, everyone acknowledged the profound gifts technology is offering us, and it’s just about refining our relationship with it. In other words, a maturing process in the relationship. People in the workshop said that if they put digital awareness to work in their lives they would feel greater self-respect, more at ease, happier, more open to possibilities, less anxious, more mastery, and greater self-alignment with values. What thoughts do you have about becoming or being a digital warrior? Here is a short piece about how to establish a barrier to allowing technology to control us. It is not an easy task to set it aside, as I think most of us can attest to. I would even venture to suggest many use their smart phones like a security blanket. When I sit and reflect on the neuroscience of our relationship to Smartphones, many ideas come to mind and I’ll list them out in a moment. As for the brain, it’s common knowledge that when we practice and repeat things in life, the habit formation is tied to an area of the brain the size of a walnut called the basal ganglia. We also know that dopamine is a chemical that drives motivation and pleasure. A message arrives and there’s a reward to going and checking it, so the dopamine drives our behavior to check. One thing we may want to consider is that alongside all the wonderful things technology brings, it also often triggers our stress response. In the emotional center of the brain is the amygdala or “fear circuit” that can be easily triggered out of some perceived danger of missing a message. In other words, our Smartphones get linked to a biological stress or anxiety response. One thing that most people would agree on is that at this point in time, technology, while being a great resource, is often controlling us more than we’re controlling it. It’s time to accept the reality of that and with this acceptance, step into a space of choice to build a more mature, effective and wiser relationship to it. In a recent post I gave a number of ways to Optimize Our Relationship to Technology, but here is one more fun way you can do this in social settings. When you get together with a group of friends of family around a meal or any social setting, see if the priority is to actually “be with” your friends, family or colleagues. Know that your brain is also conditioned to a certain habitual reaction to automatically being drawn to incoming messages. Of course you could always put it on silent or turn it off, or even make a meditation out of watching your bodily reactions to the incoming message as I note in The Now Effect, but this game makes it social and will be much more fun. Stack all the phones on top of one another and create some beneficial consequence for whoever picks up the phone first. If it’s around a meal at a restaurant, whoever picks up the phone first might pick up the tab of drinks or maybe the whole meal. If it’s at a house or just a social gathering, whoever picks up their phone first has to dance in the middle of everyone for a good minute. Whatever you do is great; make it fun while bringing awareness to what truly matters. As always, please share your ideas, stories and questions below. Your interaction makes a living wisdom for us all to benefit from. Here is an article describing a method for removing the feelings of stress from our lives. 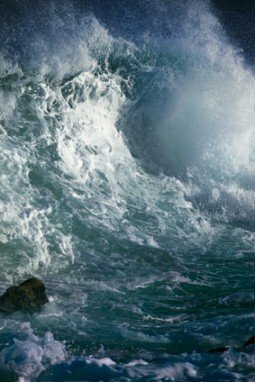 Whether we’re in the midst of a storm of anxiety or depression or we’ve come out of the storm but are in fear of relapse, strong uncomfortable emotions can seem like the devil’s spawn that we try our best to ward off against. For many of us there is a fear that these strong emotions will be overwhelming and lead us back into the great abyss of depression or another round of intense anxiety. However, it is in this very struggle of non-acceptance or non-acknowledgment of this feeling that our misery becomes compounded. Although our minds believe they are doing the best thing for us, their acts are often driving the exact habitual mind traps we’re trying to neutralize. In the mindfulness circles the acronym R.A.I.N has floated around to support people in dealing with difficult emotions. It has been found in Tara Brach’s book Radical Acceptance , Jack Kornfield has said it, and you will find it in A Mindfulness-Based Stress Reduction Workbook that I co-authored a couple years ago with Bob Stahl, PhD. “R” is to recognize when a strong emotion is present. “A” is to allow or acknowledge that it is indeed there. “I” is to investigate and bring self-inquiry to the body, feelings, and mind. “N” is to non-identify with what’s there. This non-identification is very useful in that it helps to deflate the story and cultivates wise understanding in the recognition that the emotion is just another passing mind state and not a definition of who you are. Just like seeing a movie, standing back and watching the actors play out their dramas, by non-identifying with your story and seeing it as impermanent, this will help assist in loosening your own tight grip of identification. Utilizing R.A.I.N. as a practice can help you bring space to be with things as they are and grow in deeper understanding of what drives, underlies or fuels our fears, anger, and sadness. This moment of clarity, of mindfulness is what is called The Now Effect. Turning into our emotions can feel a bit foreign since most of us live in such a pain denying culture. Isn’t it time to begin acknowledging stress, anxiety or pain rather than suppressing, repressing, or all-too-quickly medicating it? Can we learn to view these challenges as a rite of passage instead of running away from them? In an earlier blog, a brave warrior on the path of life commented about her difficult experiencing feeling the pain enroute to healing. Indeed, often times growing up our love with our parents is wrought with other uncomfortable emotions such as fear, confusion, and sadness. So it is, often times we have to learn to approach and “be with” our pain in the service of a greater healing. This can cultivate more love and compassion for ourselves which is the elixir of healing. Remember, this is called a practice because we’re going to be imperfect at it. It’s not a magic bullet, but something to be applied over time, with intention and heart. May you find healing, be happy, be healthy, and be free from fear. As always, please share your thoughts and questions below. Your interaction here provides a living wisdom for us all to benefit from. In previous posts I have discussed the value of meditation on the human mind. One of the most well-known in the field of mindfulness meditation and science, Jon Kabat-Zinn, was recently interviewed regarding his general practice and his new work called Mindfulness for Beginners. Jon Kabat-Zinn, an MIT-trained molecular biologist, began meditating in 1966, when the practice was primarily the province of hippies and gurus, not scientists. Now, thanks in large part to his efforts, it has become mainstream medicine. Dozens of studies have since shown the benefits of what he termed Mindfulness-Based Stress Reduction (MBSR) in treating cardiovascular disease, depression, addictions, chronic pain and many other conditions. Kabat-Zinn has authored a new book, Mindfulness for Beginners that aims to introduce meditation to first-timers. Why did you first get involved with meditation? This is a path that I’ve been walking now for over 45 years. It’s been 32 years since I founded the Stress Reduction Clinic at the University of Massachusetts Medical Center. I was first exposed formally to it at MIT because of Huston Smith, a professor of philosophy and religion there. I started meditating myself when I was 22, in 1966, when I was a graduate student. Almost no one I knew was meditating back then and anyone who was, was considered to be somewhat beyond the lunatic fringe, a drug-crazed hippy communist. How did you work to bring meditation into medicine? I started the Stress Reduction Clinic in 1979. The idea of bringing Buddhist meditation without the Buddhism into the mainstream of medicine was tantamount to the Visigoths being at the gates about to tear down the citadel of Western civilization. Partly because I had a PhD from MIT in molecular biology and had studied in the lab of a Nobel Laureate, people projected onto me that ‘He must know what he’s doing.’ So they let me do it, fortunately.” They had no idea how much not-knowing was involved. Mindfulness is often spoken of as the heart of Buddhist meditation. It’s not about Buddhism, but about paying attention. That’s what all meditation is, no matter what tradition or particular technique is used. MBSR is an outpatient clinic for medical patients in the form of an eight-week long course. This is the vehicle through which mindfulness was first introduced into the mainstream of medicine and science. What does the research say about MBSR? Recent studies from Massachusetts General Hospital have shown that eight weeks of MBSR can actually produce thickening in particular regions of the brain important for learning, memory, executive decision-making and perspective-taking: all important functions to have at optimal levels when you are under stress or experiencing pain. Also, certain regions get thinner like the amygdala, which involves threat and fear circuitry. If the amygdala is getting thinner after you’ve been practicing mindfulness for only eight weeks, I find that pretty amazing. Working with Richard Davidson at the University of Wisconsin and his colleagues, we published a paper in 2003 showing that if you took people in a high tech work setting under very high levels of stress and trained them in MBSR in a randomized clinical trial, they showed a shift in activity in the prefrontal cortex (PFC) in particular locations that earlier work had shown was related to the processing of emotion while under stress. The MBSR group shifted from having more right-sided activation in the PFC to more left-sided activation. And one side is more associated with positive emotions, the other with negative? To a first approximation, you could say that the right PFC is more associated with anxiety and discomfort and experiential avoidance and the left is more associated with, well, the catchword is happiness: wellbeing, calm and emotional intelligence. Until we did that study, it was thought that the ratio of right/left activity in the PFC was pretty much a fixed trait once you reached adulthood — that you were the way the you were; if you were a nervous nelly, you were pretty much going to stay that way, and if you happened to be Ms. Relaxation, you stayed that way, too. But in eight weeks we saw that right to left shift in what used to be thought of as a fixed emotional set point. We did another interesting thing in that study —- we gave everyone a flu shot at the end of the eight weeks and followed the antibody titers in their blood and found that the people trained in MBSR had a significantly stronger immune response to the flu vaccine than the waitlist controls did. So, how should you start if you want to try mindfulness meditation? Any way you feel like beginning it is good. The important thing to understand is that it’s not about a particular method or technique. The real way to start is to be open to experimenting or playing with the possibility of noticing what you’re experiencing in this moment and not to try to feel differently. Most people think that to meditate, I should feel a particular special something, and if I don’t, then I must be doing something wrong. That is a common but incorrect view of meditation. Mindfulness is not about getting anywhere else — it’s about being where you are and knowing it. We are talking about awareness itself: a whole repertoire of ways of knowing that virtually all come through the senses. My working definition of mindfulness is the awareness that arises through paying attention on purpose in the present moment — non-judgmentally. And the non-judgmental part is the kicker, because we’ve got ideas and opinions about virtually everything. Our consciousness is almost always colored by our likes and dislikes. All highly conditioned, habitual behaviors really comes down to this: do I like it or not, do I want more or do I want to escape? That’s all going on below the surface of awareness and it runs our lives. Do you have a smartphone? The impulse to check it can come up in the strangest of moments and you can become aware of how strongly you actually want to distract yourself from the present moment. There might be an important email waiting for you, or something to take you away from this crappy boring moment. Even before smart phones and the internet, we had many ways to distract our selves. Now that’s compounded by a factor of trillions. When you have children, you realize how easy it is to not see them fully, and perhaps miss all those early years. If you are not careful, you can be too absorbed in work and they will be only too happy to tell you about it later. Being a parent is one of greatest mindfulness practices of all. Mindfulness isn’t about getting your way or meditating so that you can be better at something. My definition of healing is coming to terms with things as they are, so that you can do whatever you can to optimize your potential, whether you are living with chronic pain or having a baby. You can’t control the universe, so mindfulness is involves learning to cultivate wisdom and equanimity— not passive resignation—in the face of what Zorba the Greek called the full catastrophe of the human condition. What are you most likely to feel when you start? The most prevalent experience is becoming aware of how mindless you are and how many impulses you have to distract or entertain yourself, to fix or change what is happening so that you don’t have to tolerate this moment the way it actually is. How long a period of time should you start with? There’s no real prescription but I would say it’s good to try 15 minutes: long enough so that you get really bored and antsy and learn how to make room for unpleasant moments. You have to have it be long enough so that you experience a lot of different body and mind states like the discomfort from being still. Then that becomes your teacher instead it being bad or an impediment to being mindful. You notice any thoughts, like ‘I hate this,’ ‘It’s boring and stupid’ and then recognize that these are just thoughts. You may have lot of emotions like impatience and frustration and think, ‘Well I just can’t meditate’ and perhaps you get down on yourself or decide to throw in the towel. But the whole point is to just simply notice the play of the mind and body, and not taking things personally when they aren’t. Some people argue that meditation is “navel gazing” and encourages too much attention to your own problems and self. There’s been a huge shift in the last 10 years. So many people are practicing yoga and mindfulness meditation. The idea that it’s ‘just focusing on me,’ that it is narcissistic — that’s a complete misunderstanding. Just stopping [to think] is a radical act of sanity and love — and not just love for yourself. To drop into being means to recognize your interconnectedness with all life, and with being itself. Your very nature is being part of larger and larger spheres of wholeness. But there’s so much mud and silt layering itself on top in the form of conditioned behavior and self-centeredness. Mindfulness involves living your life as if it really mattered. And it does matter. In more ways than you think, and in more ways than you can think.